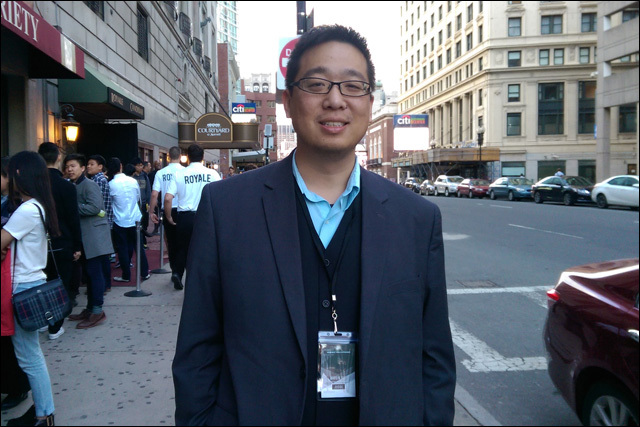 My name is Marvin Meihung Yueh, Global Operations Director for Kollaboration, freelance business development consultant, and new media/live event producer. I am a jack-of-all-trades, a problem solver, a producer of experiences, and a seeker of challenges, adventure, and that next foolish endeavor. Oh, I'm also an urban planning enthusiast and really good at reading maps. Currently in my hometown of San Gabriel, CA, writing up this Angry Reader profile while waiting for my laundry to finish so I can pack for my trip to Boston to support the Kollaboration team there. I was born in Toronto, but moved to the States when I was still a baby. I grew up in San Gabriel alongside the boba craze and during the peak AZN years. Went to college in San Diego and grad school in Maryland. My parents are from Taiwan, my grandparents from China, and I have Ningbo, Nanjing, and Chengdu blood flowing through my veins. I organize, strategize, produce, and network. As the Operations Director for Kollaboration, a non-profit organization that supports Asian Americans in the arts, I oversee the day-to-day activities of our 14 city teams, as well as work on creating, planning, and executing our global initiatives and programs. In addition, I also write articles for our blog, organize local live events, and produce/host the KollabCast, Kollaboration's weekly pop culture and social commentary podcast. Overall, I help create a platform to highlight and inspire Asian Americans pursuing creative endeavors so that our voices and perspectives can take its rightful place in popular culture. On the side I work with organizations in the startup world, I just got home from a contract at the NAB show in Vegas where I organized meetings connecting media startups with broadcast executives, bringing innovation and disruption to a traditionally slow moving industry. I'm about enjoying the process, regardless of the destination. Nothing will always go according to plan no matter how hard you want them to, but that's okay. Trying to force an outcome instead of letting it play out and making adjustments has been the source of so much misery for people that I know, including myself. However, looking back, the things that seemed to matter so much to me at the time seems so small now, and it's always been the relationships I've made through the experiences I've shared that have stuck with me to this day. Success and failure is just the end of one adventure and the beginning of the next big one. I get angry about the phrase "this is how it's always been done." Especially when it comes to broken institutionalized practices. Abuse of power that perpetuates future abuses of power, short-term thinking at the expense of long-term prosperity (essentially, what got us into the last financial crisis), and in general a refusal to accept new viewpoints or perspectives. Things can always be better and we should always strive towards making progress instead of accepting complacency.